A central concern of economics is how society allocates its resources. Modern economies rely on two institutions to allocate: markets and governments. But how much of the allocating should be performed by markets and how much by governments? 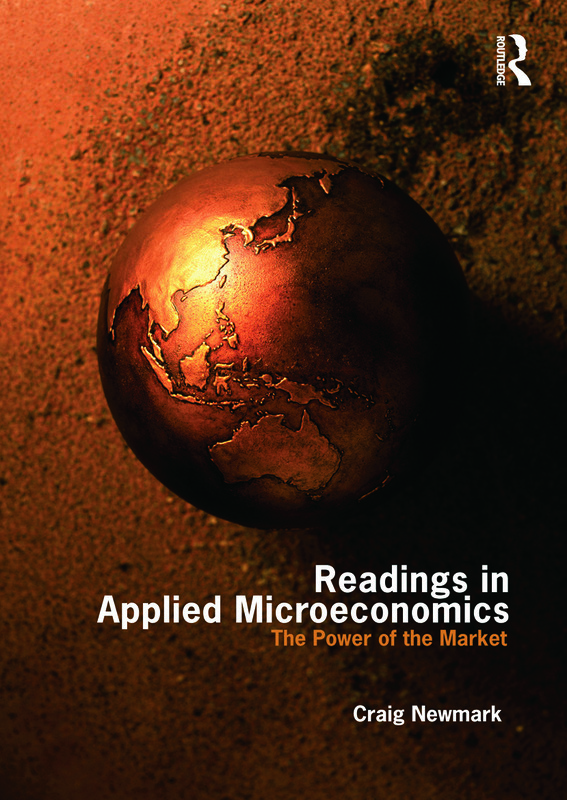 This collection of readings will help students appreciate the power of the market. It supplements theoretical explanations of how markets work with concrete examples, addresses questions about whether markets actually work well and offers evidence that supposed "market failures" are not as serious as claimed. The selections should be comprehended by undergraduate students who have had an introductory course in economics. This reader can also be used as a supplement for courses in intermediate microeconomics, industrial organization, business and government, law and economics, and public policy. Craig M. Newmark PRICE AND SELLER CONCENTRATION IN CEMENT: EFFECTIVE OLIGOPOLY OR MISSPECIFIED TRANSPORTATION COST?